"My design was exactly what I was looking for. AnnOnDesign definitely hit the rail right on the head the first time. I wanted something fun, kid-friendly that incorporated both my Magic and Balloon work. I will definitely be recommending 99designs to all..."
"The job description was for a youthful, whimsical design, including a child blowing a dandelion and incorporating the main title 'Stem'. AnnOnDesign exceeded my expectations, with such a gorgeous design that I will be so proud to use. She was a pleasure..."
"We were looking for a simple, attractive and intelligent design for our new tech startup and Ann encapsulated our idea beautifully. She was always willing to edit and and refine our idea on a moments notice and she did so quickly and effectively, a real..."
"Ann was very easy to work with in our logo design contest. She was prompt with any changes we requested. She captured the main components of our project right away. Our faith in her was confirmed when we did 2 separate polls and in each case one of her ..."
"Great designer. Delivered exactly what I wanted. Quick response to feedback. I'm very happy." "Ann did a great job desiging my logo and was very responsive to my requests. 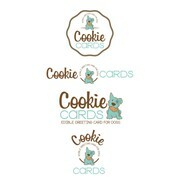 I recommend Ann for a creative logo design that is unique from all others. " "AnnOnDesign did a great job on my logo and created exactly what I was looking for. She was so fast in the communications and the revisions. Blew away the competition! Would use again for my next job or on other creative works I need." "Working with Ann was really easy. She incorporated all my feedback and came with ideas that enhanced my initial idea. I highly recommend working with her."